Most of you should have known by now that I seldom cook breakfast. By cooking, I meant over the stove, "stirring" something over the stove-top burner, at minimum. But breakfast can't always be homemade oat-granola with milk or toast with peanut butter or oat-granola with milk plus peanut butter toast. 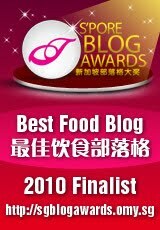 Once in a blue moon comes Salty, Sweet and Spicy Rice Rolls, Stir-Fry Rice Rolls, Hong Kong-style Macaroni Soup, yes, for breakfast. 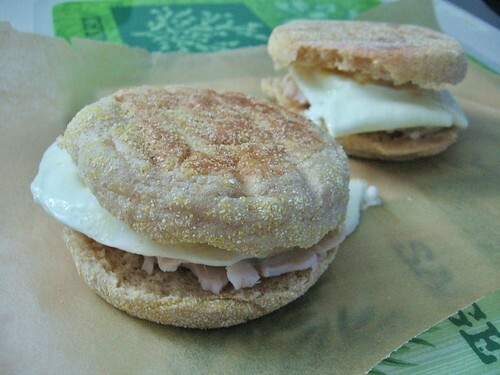 Then now this homemade version of English muffin with egg, mimicking Mcdonald's Egg Mcmuffin. Directions: Cook the egg the way you like it, fried eggs, scrambled or even hard-boiled. Halve the English muffin and lightly toast each half. 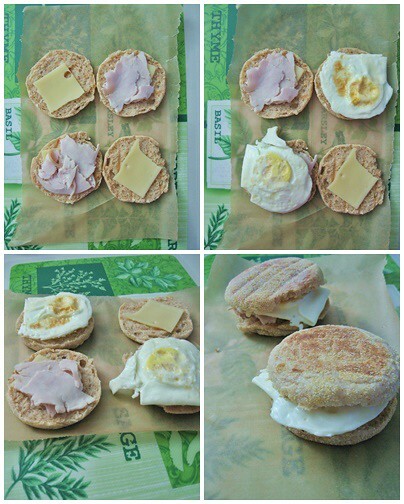 Assemble the eggs, cheese, sliced deli meat on the English muffin. Enjoy.